Invisalign is the clear, modern solution to achieving the beautiful smile you’ve always wanted, at any age. Whether you have an over-bite, under-bite, cross-bite, widely spaced or crooked teeth, Invisalign invisible braces can help dramatically transform your smile. Invisalign technology enables us to design a series of clear, removable aligners to gradually straighten your smile without the inconvenience of metal braces or the social issues associated with “metal mouth”. 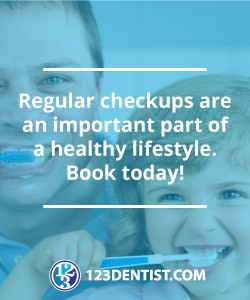 This lifestyle friendly solution is an extremely effective way to improve your smile and your bite. Aligners are changed once every 2 weeks and require less appointment at our dental clinic. Best of all, aligners are completely removable, allowing you to smile with confidence and enjoy all your favorite foods while undergoing orthodontic treatment. Contact us to book an appointment today and discovered the advantages of a beautiful, straight smile.